One of the most trusted names in the design and manufacture of miniature fluid control solutions. William L. Clippard, Jr. founded Clippard Instrument Laboratory in 1941. The initial product line consisted of electrical test equipment, magnetic windings, and radio frequency coils. The first miniature pneumatic devices designed and built by Clippard were for use in the manufacture of this equipment. In the early 1950’s, Clippard introduced Minimatic® components as a new product line. 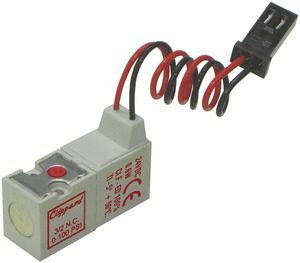 The need for miniature pneumatics was so widespread, that the Minimatic line was successful enough to become Clippard’s primary product line. The complete Minimatic line includes over 5,000 standard products. Some of the many products offered include valves, cylinders, fittings, modular components, push buttons, FRLs, electronic manifold cards, circuit analyzers and pre-piped manifold subplates. Special components designed for customer’s OEM applications are also welcomed. Call us today for a free catalog. Quality remains a primary feature of every product Clippard produces. This is achieved through the excellence in manufacturing practices and craftsmanship that has continued throughout the years. The high standards set by Leonard Clippard, in company relationships with customers, distributors, suppliers and employees continue to be upheld. The company motto, “Quality People, Quality Products”, emphasizes the important role every employee plays in maintaining the company’s reputation. Proudly made in the USA. 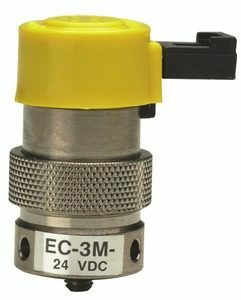 Today, Clippard pneumatic control devices are used virtually everywhere for control, interface, sensing, logic and actuation functions. 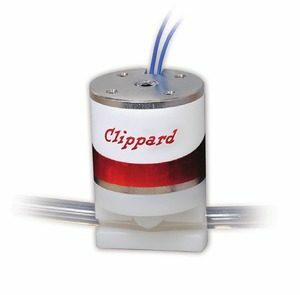 For medical, analytical, laboratory, diagnostic and other related applications, Clippard manufacturers precision components including oxygen clean, analytical and proportional valves, PTFE isolation and pinch valves, precision regulators, manifolds and more. Custom products and assemblies for specific applications are also welcomed.